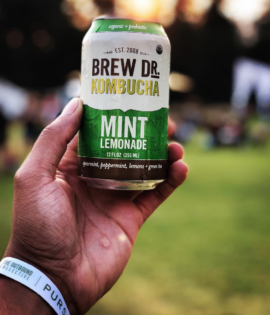 Every batch of Brew Dr. Kombucha is crafted from the beginning, starting from high-quality, organic teas and botanicals (dried herbs, roots and fruits). It’s a no shortcuts, whole ingredients approach that has remained at the heart of the company since its start in 2006. The result? 100% raw and authentic kombucha, free of any added juice, alcohol, or probiotics. Also certified Non-GMO, gluten-free, and kosher.